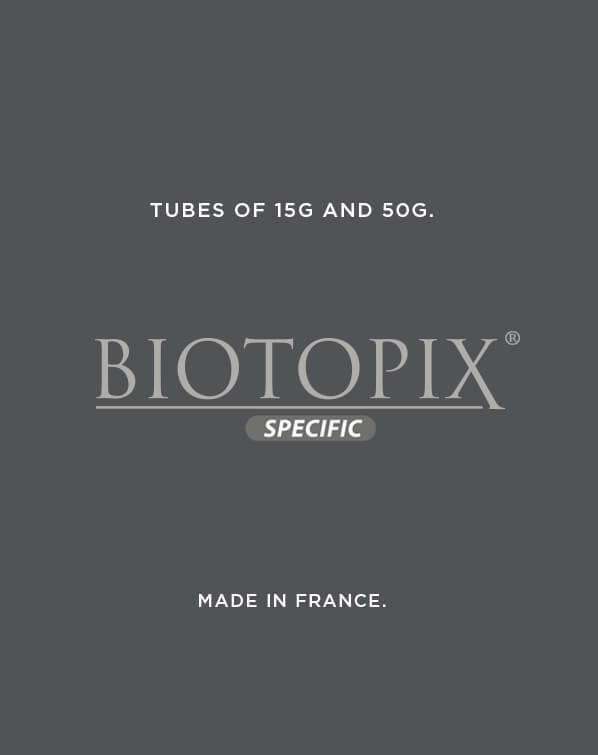 BIOTOPIX® has long been synonymous with anti-aging. BIOTOPIX® Advanced Anti-Wrinkles Treatment is the first cream tested and recommended by both dermatologists and plastic surgeons in more than 40 countries worldwide. 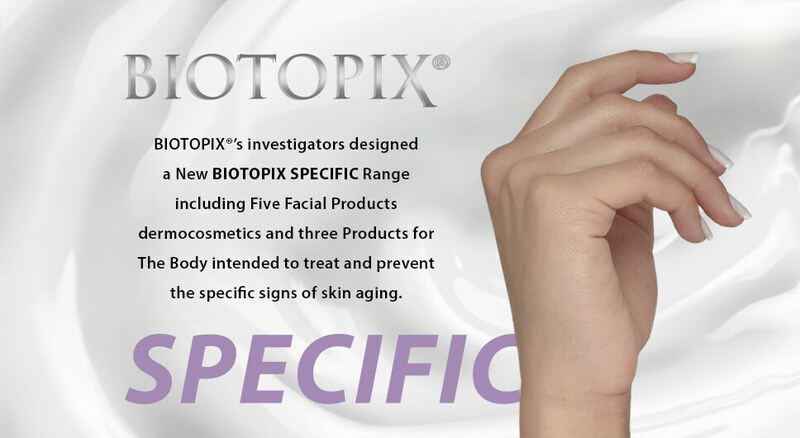 BIOTOPIX®’s investigators have now designed a new range including eight dermo-cosmetic products aimed to treat and prevent specific signs of skin aging. 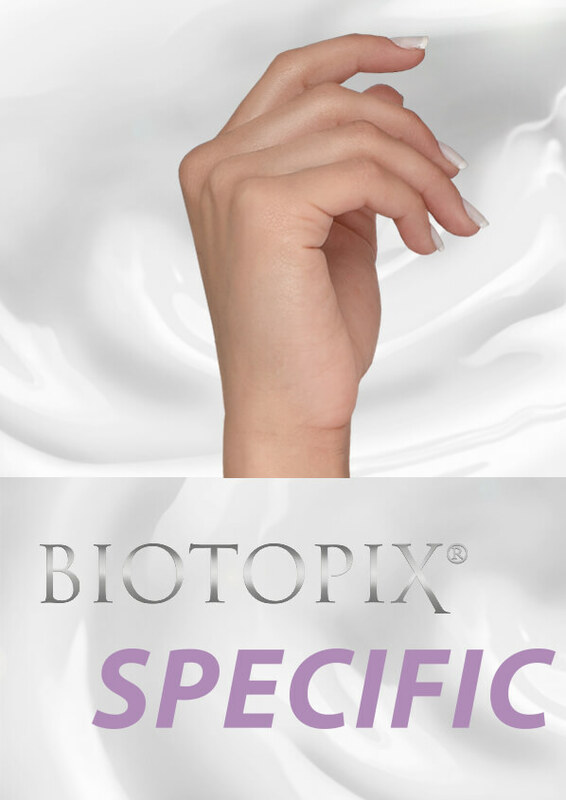 BIOTOPIX Specific eyelash conditioner is a Cosmetic containing a specific combination of peptides selected for their beneficial properties for improving the length, volume and darkness of the eyelashes. Prostaglandin-free. Based on a unique combination of a long-term and a short term tensor active ingredients, this highly firming neck cream creates an ultra-tightening mesh on the skin’s surface for a “micro-lifting” effect to lastingly maintain tone and support. Based on an original combination of a long-term and a short term tensor active ingredients, this highly firming body cream creates an ultra-tightening effect on the skin’s surface for a “micro-lifting” effect to lastingly maintain tone and support.